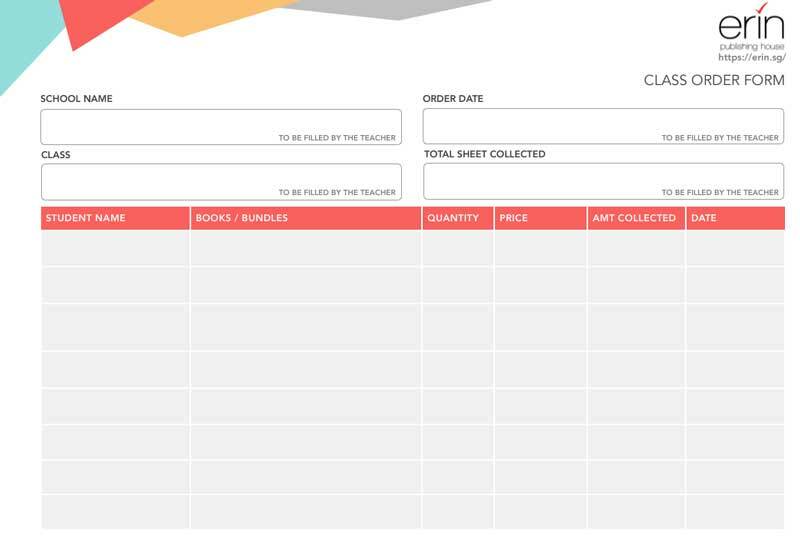 The CLASS ORDER FORM can be used to consolidate your order requirement for individual classes. Print the CLASS ORDER FORM and complete all required details - school name, class, list of students names, respective orders and quantity. 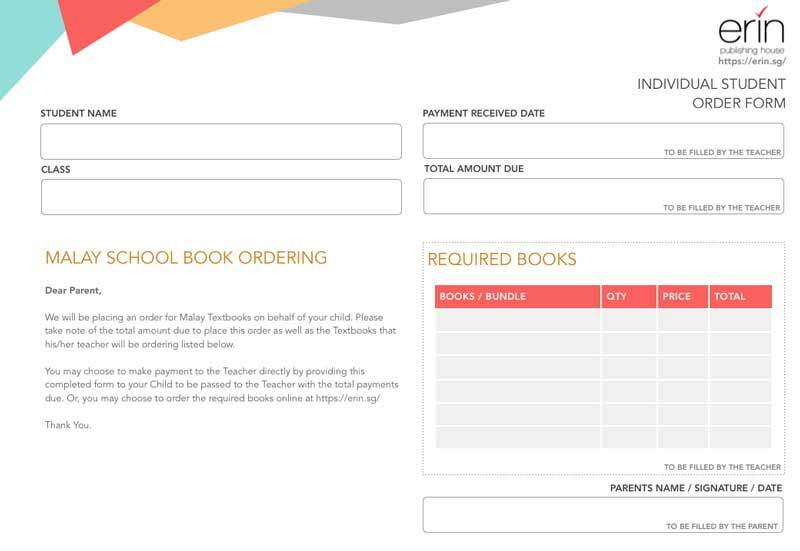 The INDIVIDUAL ORDER FORM can be used to communicate to parents. Print the INDIVIDUAL ORDER FORMs for students to bring home. Detail the books required. Total up the amount for parents to prepare payment. Follow the simple steps and checkout. You have the option to Checkout Online via Credit Card or PayPal or Offline via Bank Transfer or Cheque.